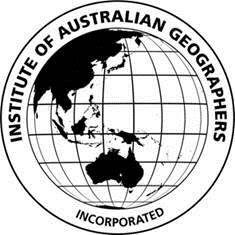 Previous message (by thread): [Iag-list] Economic Geography meeting in Auckland, Fri. lunchtime, room 201N-208. of the International Science Council. Below is the message from Prof Mike Meadows  of the IGU. The inaugural General Assembly of the International Science Council, which was recently established out of the merger of ICSU and the ISSC, is currently underway in Paris. Elections were held yesterday for the new Governing Board and I am delighted to inform you that two geographers were elected as Ordinary Members of the Board: Professor Ruth Fincher of the University of Melbourne and Professor Anna Davies of Trinity College, Dublin. This is truly wonderful news for our discipline. The new organisation, which aims to be the global voice of science, will play an important role in integrating the sciences towards the goal of addressing major global environmental and societal issues. Geographers  will now formally be at the very centre of such efforts. Congratulations to Ruth and Anna, we wish them every success in the hard work that lies ahead. Disclaimer - University of Cape Town This email is subject to UCT policies and email disclaimer published on our website at http://www.uct.ac.za/main/email-disclaimer<http://www.uct.ac.za/main/email-disclaimer> or obtainable from +27 21 650 9111. If this email is not related to the business of UCT, it is sent by the sender in an individual capacity. Please report security incidents or abuse via https://csirt.uct.ac.za/page/report-an-incident.php<https://csirt.uct.ac.za/page/report-an-incident.php>.